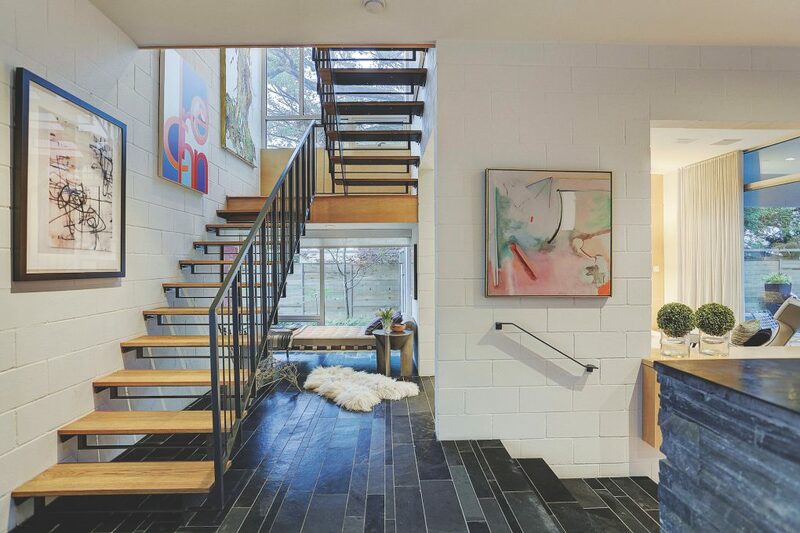 A collaboration between the seller, a former gallerist and current design professional, and the legendary late designer, Marlys Tokerud, resulted in a home of sophisticated contemporary design with influences of mid-century aesthetic in Houston, Texas. Built in 2006 and combining the best of modern and contemporary style into a bright and compelling space. 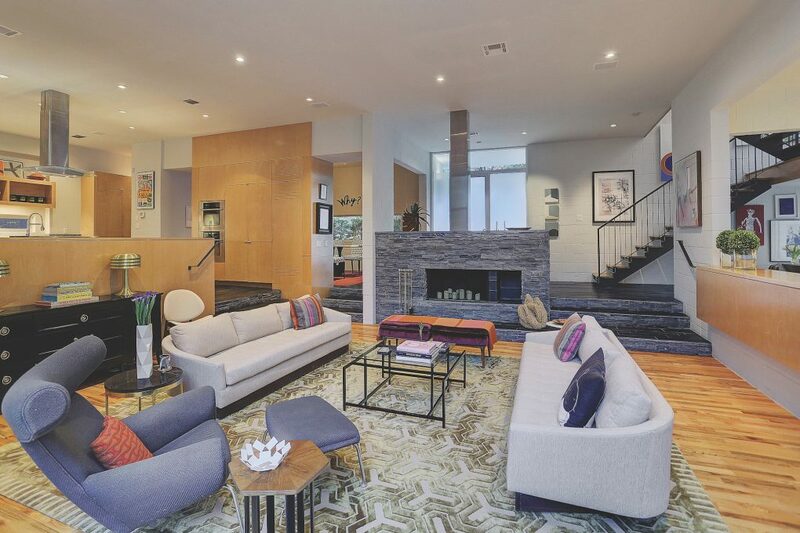 This home was made for displaying art and geared for those that love to entertain. 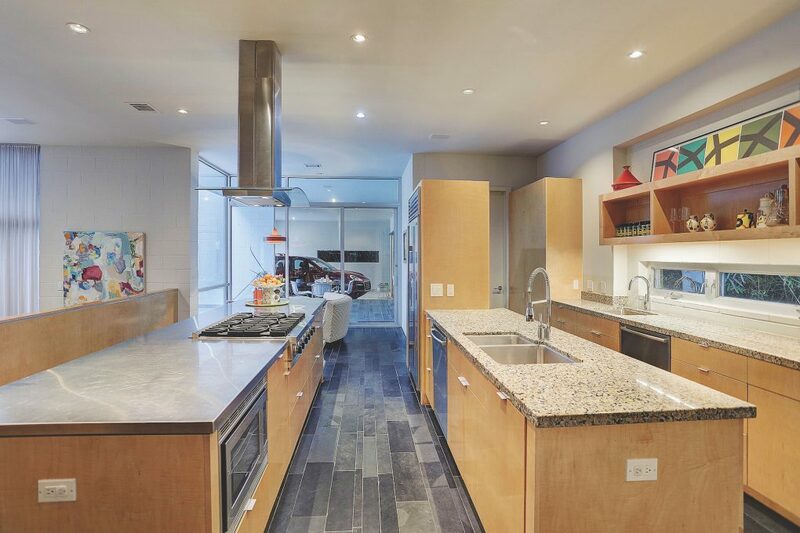 The contemporary kitchen has plenty of counter space and an island with a sink for easy preparation. 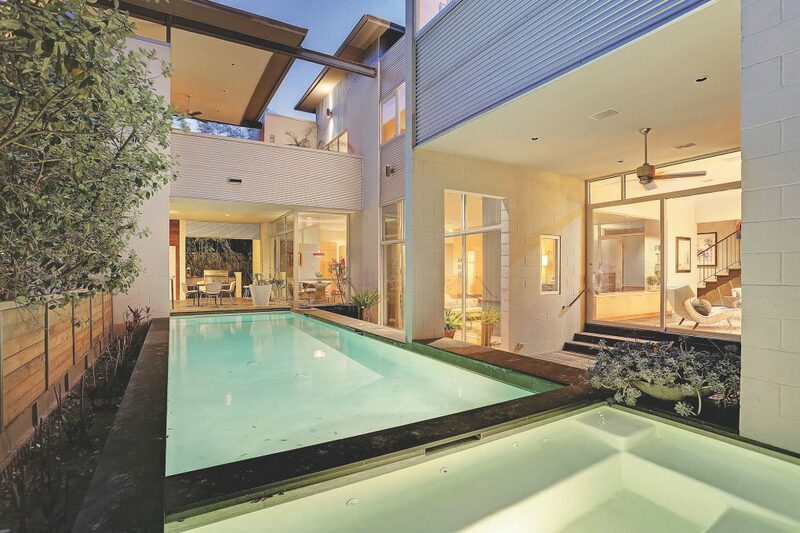 A pool and installed elevator are just a few of the features that make this home so special. This property is listed for $1.85 million with John Daugherty, Realtors and is showcased by Luxury Portfolio.